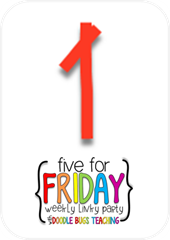 Currently and Five for Friday! I am going to attempt two link-ups today!! 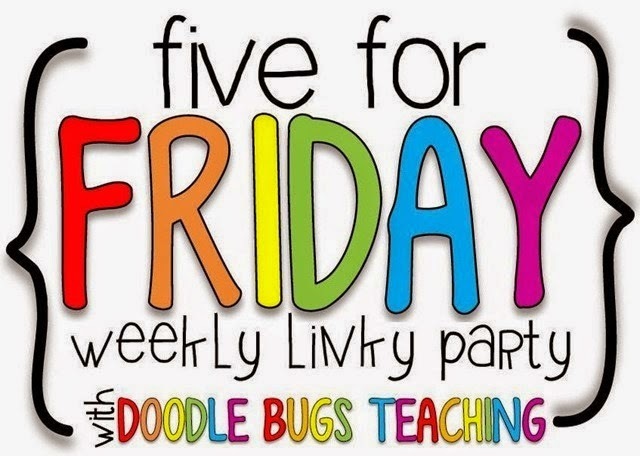 I'm linking up for "October Currently" with Farley and "Five for Friday" with Doodle Bugs Teaching. Two link-ups at once!! FUN or CRAZY?!?! haha! Listening - I've seen this movie so many times, but I still think it is cute!! Loving - FALL!!! I love this season!! 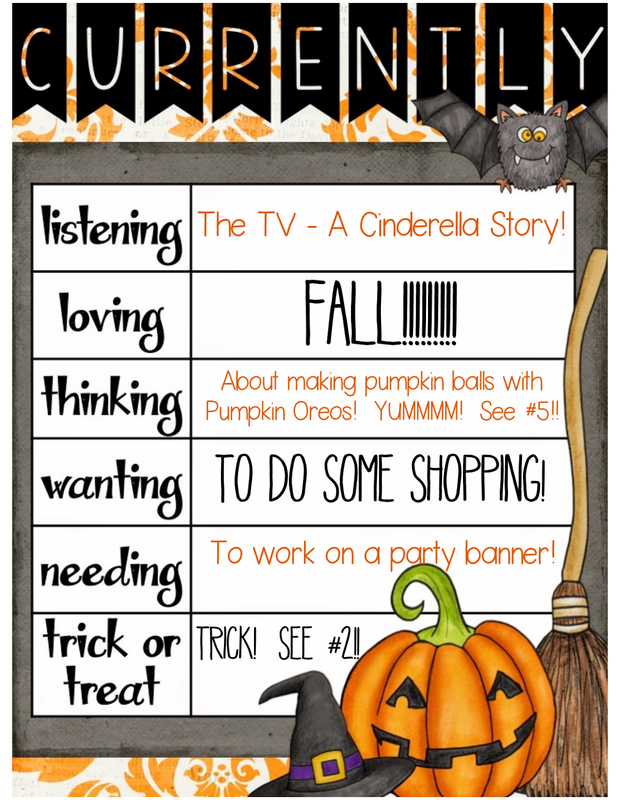 Thinking - About making pumpkin balls! 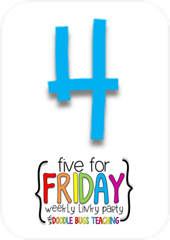 See my Five For Friday #5!! Wanting - To shop!! 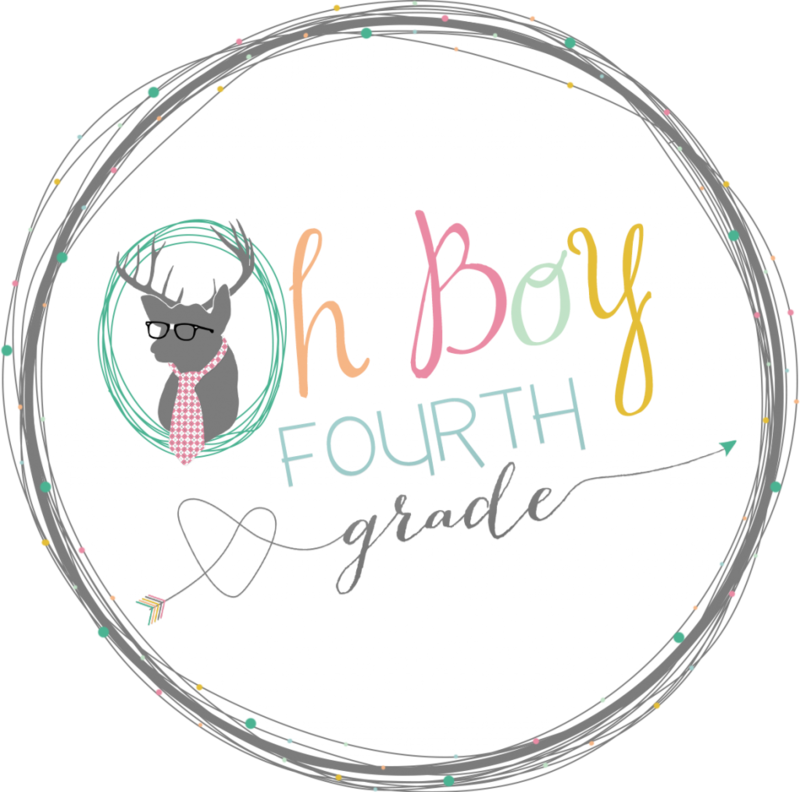 I've had my eye on a few new clothing items, but I am waiting for some sales! Needing - To work on a party banner for this weekend! I love making banners! They are so fun and crafty and turn out really nice in the end. Trick or Treat - Trick! 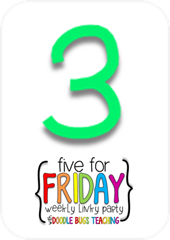 See my Five for Friday #2! 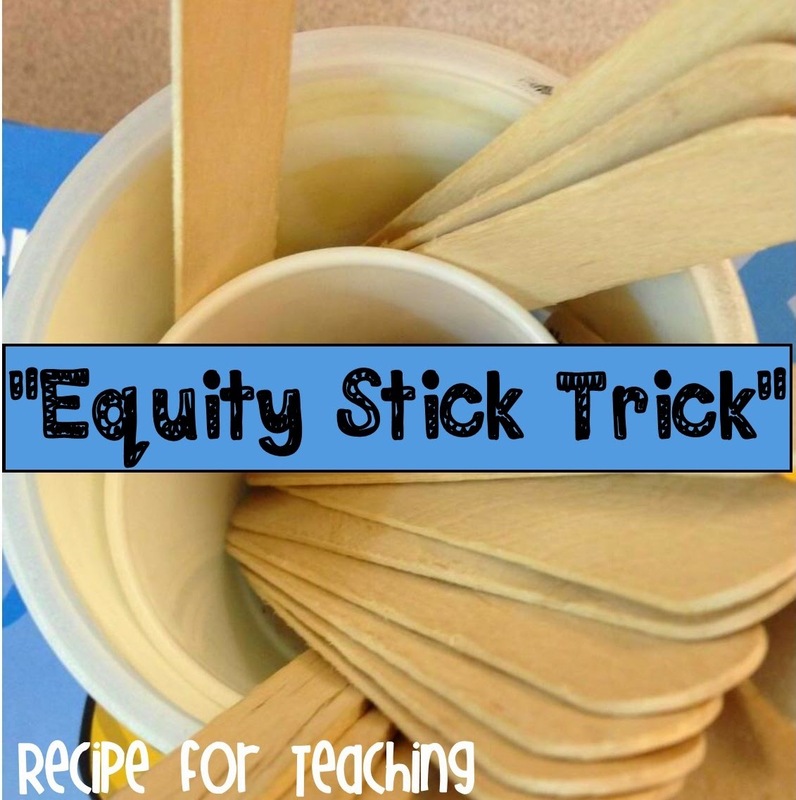 My classroom trick for my "Currently" post: How many of you use equity sticks to call on your students?? 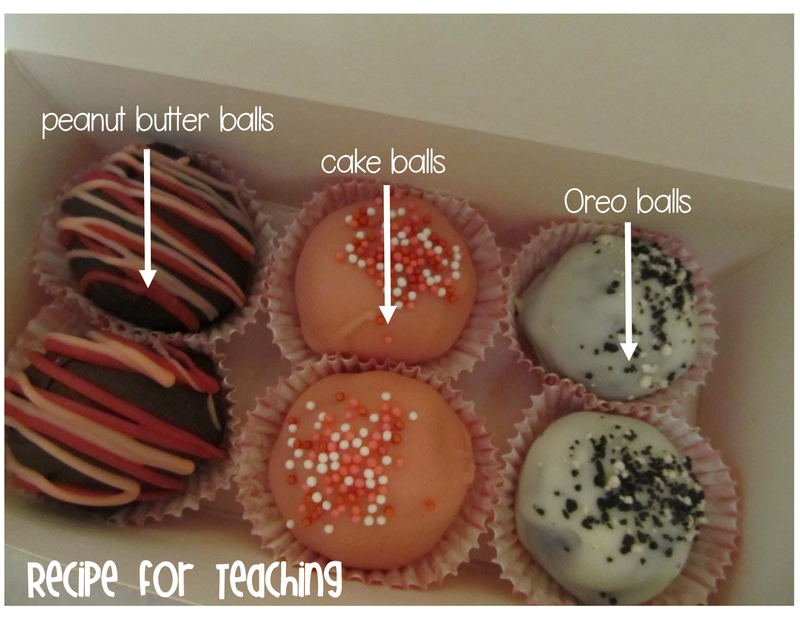 I use them in my kindergarten class and somewhere along the way I picked up a little trick that I have used forever! Instead of just having all the popsicle sticks in one cup, I put a smaller cup inside a bigger cup. I keep all the popsicle sticks in the smaller cup and when I pick out a name, I move the popsicle stick in between the two cups. This way it appears that all names could be called on, but really I'm making sure that I don't repeat names!! Great little TRICK! 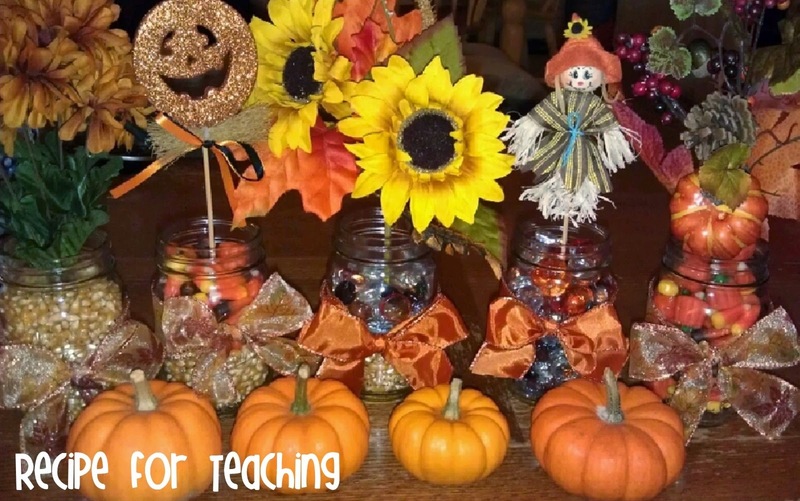 I made these centerpieces for a fall party and I just love them!! I already had the mason jars and I got the other things from Target, Michaels, and the little pumpkins from the grocery store!! So easy to do and so cute! 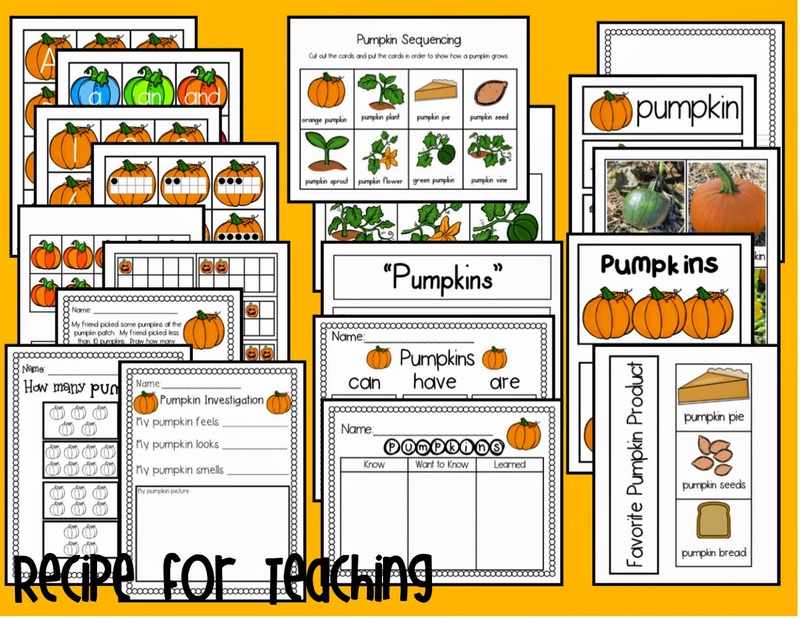 Check out my "Markdown Monday" post for how you can win a free copy of my Pumpkin Activities Pack!! You could be the lucky winner!! 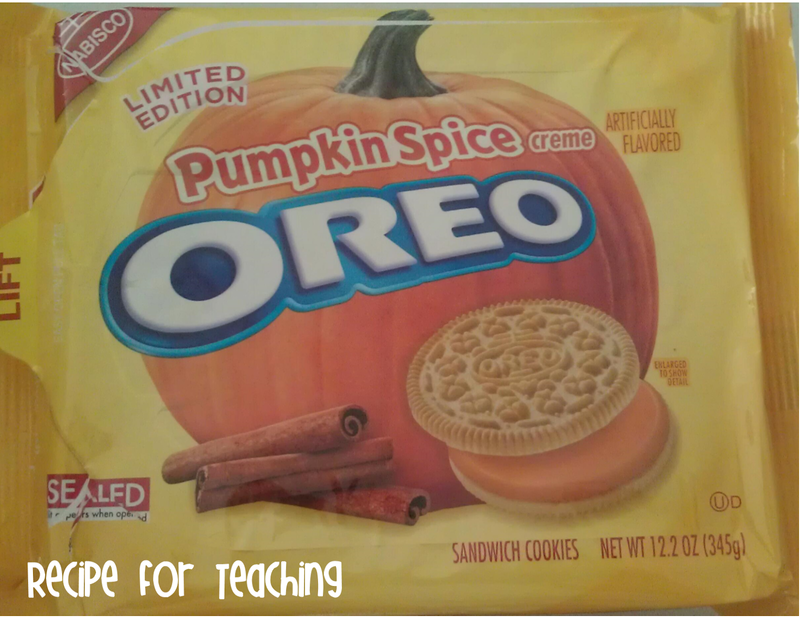 Have you tried these Pumpkin Oreos?!?! You need to!! They are really good!! I made the yummy desserts in the picture below and thought of making Oreo balls with the Pumpkin Oreos, only dipping them in orange and *maybe* sprinkling some graham cracker pieces on the top?? I'm wondering if that will make it taste like pumpkin pie?? I need to try this soon - possibly for this weekend!!! 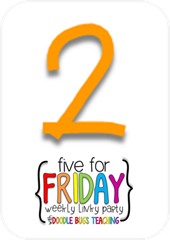 Markdown Monday Plus a Giveaway!